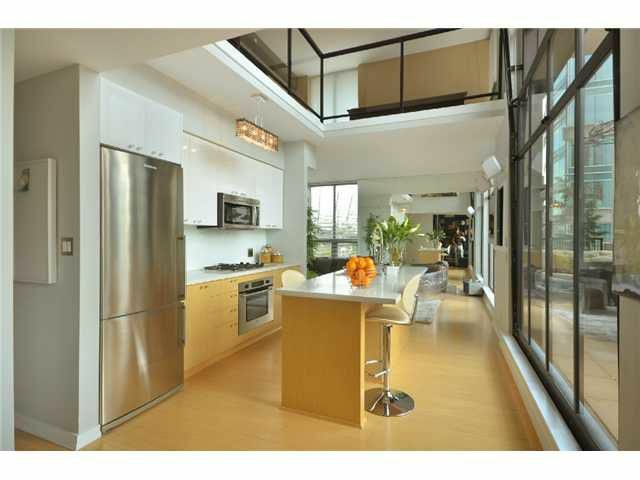 Opulent, luxurious million dollar PH loft without the price tag. Features 1117 sq. ft., further reno'd by owner to perfection. The PH boasts an 18ft garage door feature that opens to a stunning 450sq. ft. deck with gas fireplace andgorgeous downtown/water/mountain views. Gourmet dream kitchen, extra spacious master bedroom, overhead walkway leads to custom executive walk in closet and rainshower ensuite. Absolutely a gem in the city, nothing else like it at this price.